Local Artist Destroying "I Can't"! — The People's Paper & Make A Scene! Local Artist Destroying "I Can't"! As she grew older, her interest in various art forms began to develop. Jamie attended school in Homer where the arts are a living part of the community. This helped shape her desire to make the love of art available to everyone from the preschooler to the elderly. Though she has been an artist for most of her life, Jamie decided to follow her dream of being a “professional” artist in 2007. Her work has been seen in venues in Alaska, Chicago, and California. 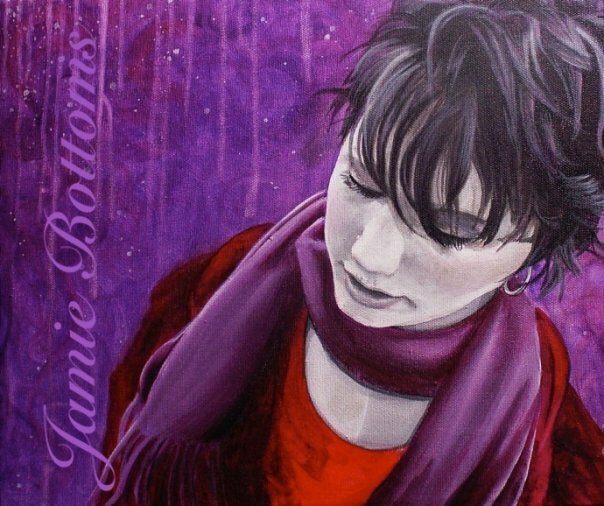 Jamie’s paintings are in private, national and international collections including Puerto Rico, New Zealand and the United Kingdom. She has been an active member in the Mat-Su community since 2001, creating murals for local businesses and non-profits, and painting live at conferences and events. She began instructing in 2012 and opened Awaken Arts in 2015, offering classes to elementary through high school aged children. She loves working with children above all. Jamie has developed techniques to help individuals of all personality types and learning styles. She has extensive teaching experience with ages 4 - adult, including being a preschool teacher in Anchorage, a youth pastor in Bethel, leading art workshops for a variety of camps here in the valley and co-teaching a workshop for art teachers at the AAEA conference. Her community work can be seen at Capstone Family Medicine children’s area, Satori Day Spa in Palmer and a donated mural to the talking room at The Children’s Place. Jamie and her husband, Chris, are building their family home here in the valley. They are homeschool parents since 2011 to two very active and creative boys. To set up a private art event or find out about openings in one of Awaken Arts instructional classes, please contact Jamie through her website at www.awakenartsstudio.com or email at jamiebottoms@gmail.com.